“The results are a stunning blow for the PAN party which ruled Mexico for 12 years under Vicente Fox and Felipe Calderón, and reflect a clamor from the population to return to some semblance of sovereignty and economic survival—both of which have been lost in Mexico to a British-run coup d’etat as a result of a 30-year long process of targeted warfare. The coup was launched with the 1982 defeat of Mexican President José López Portillo’s international economic project, conceived in alliance with Lyndon LaRouche. The coup was completed in March 2009, on Barack Obama’s watch, with the U.S.-sanctioned, fraudulent, drug-linked election of Guillermo Padrés as governor of the state of Sonora—a fact noted and acted upon instantly at the time by Lyndon LaRouche. 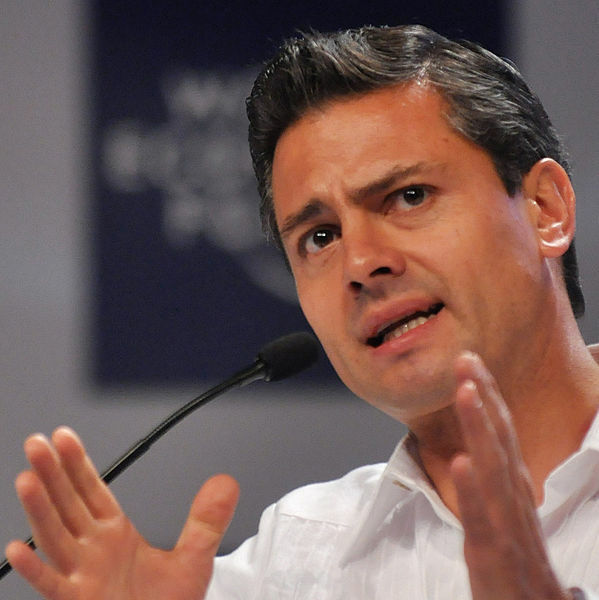 The lead editorial in Tuesday’s edition of the Financial Times, the City of London’s mouthpiece, expresses cautious optimism that the PRI’s Enrique Pena Nieto, as the next President of Mexico, will follow through on his stated policies of “reform,” “free trade,” and “modernizing” the state oil company, Pemex, by allowing in foreign investment. But they fret that the return of the PRI to power could also open the door to a return of the “dinosaurs,” key and code for the old-line PRI nationalists who have historically defended Mexico’s sovereignty and economic development. London’s recurring nightmare is the 1982 policy alliance between then President Jose Lopez Portillo of Mexico and the American statesman Lyndon LaRouche, which threatened the very existence of their financial empire. The actual issue in Mexico’s July 1 presidential election — albeit unknown to the vast majority of the participants in that election, on all sides of the political spectrum — was London’s drive to consummate their 30-year drug-driven coup d’etat against Mexico. London’s Dope, Inc. apparatus will not have been put at ease by the one substantive comment in Pena Nieto’s victory remarks: “There will be no pact or truce with organized crime,” i.e., with the international drug cartels that today rule Mexico on London’s behalf. Whether that policy holds or not, is a central question now facing Mexico — and potential allies of such a war on drugs in the United States. Andres Manuel Lopez Obrador, who came in with a reported 31% of the votes to Pena Nieto’s 38%, has announced that he will challenge the result of the elections and demand a recount, charging multiple cases of vote-buying and fraud. But he has not yet said if he will call for street demonstrations as he did six years ago (when the margin of difference of his defeat by Felipe Calderon was less than 1%, as compared to 7% this time). Disclaimer: The views expressed in these articles are the sole responsibility of the author and do not necessarily reflect those of CanadaNewsLibre. The contents of these articles and videos are of sole responsibility of the author(s). CanadaNewsLibre will not be responsible or liable for any inaccurate or incorrect statements. The CNL grants permission to cross-post original CanadaNewsLibre articles on community internet sites as long as the text & title are not modified. The source and the author’s copyright must be displayed. http://canadanewslibre contains copyrighted material the use of which has not always been specifically authorized by the copyright owner. We are making such material available to our readers under the provisions of “fair use” in an effort to advance a better understanding of political, economic and social issues. The material on this site is distributed without profit to those who have expressed a prior interest in receiving it for research and educational purposes. If you wish to use copyrighted material for purposes other than “fair use” you must request permission from the copyright owner. This entry was posted in Geopolitics, World News and tagged London's Dope Inc, Lyndon LaRouche, Mexico, nationalist, Peña Nieto, sovereignty, war on drugs by cnlib. Bookmark the permalink.